I first came up with this recipe over a year ago, and it is still one of the most asked for play materials in our house. I think that's great, because making this stuff is SO EASY. Score for adults and kids alike! Dirt dough is pretty amazing stuff. 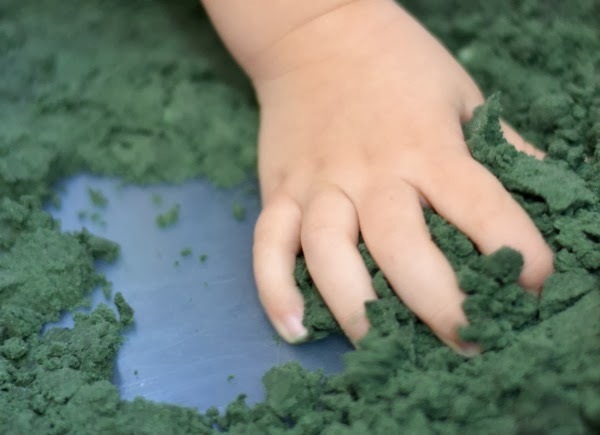 It looks and feels just like dirt, but it is germ free and CLEAN! You only need two ingredients plus water to make it, too. 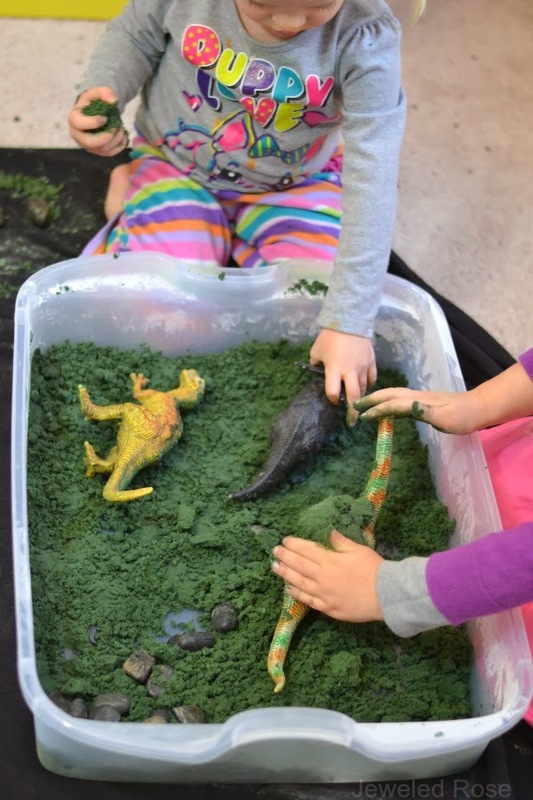 I personally have nothing against kids playing in real dirt, but this stuff is lots of fun and a better alternative for indoor play. 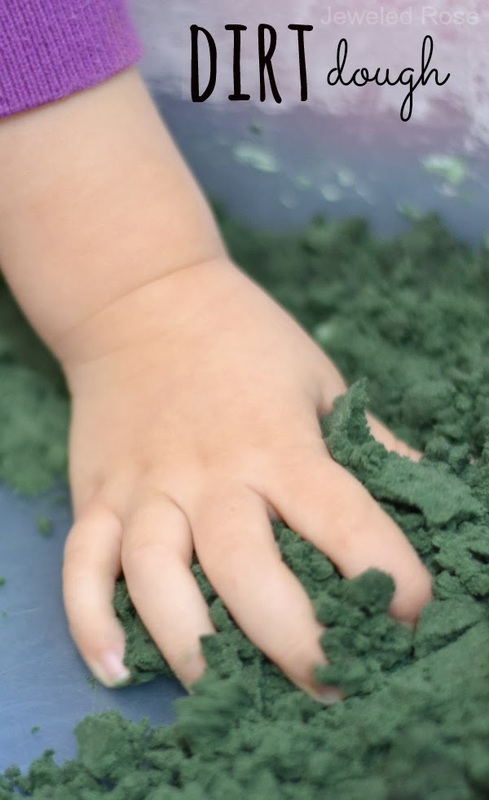 If made using food coloring dirt dough is also edible; it is not meant for all out consumption, but if baby sneaks a taste no worries! You can also use brown watercolors but black was what we had on hand, and it worked well. Add more coloring if needed. For this most recent batch I used one large box of baking soda and one whole container of black food coloring, and that gave me the perfect dirt dough. 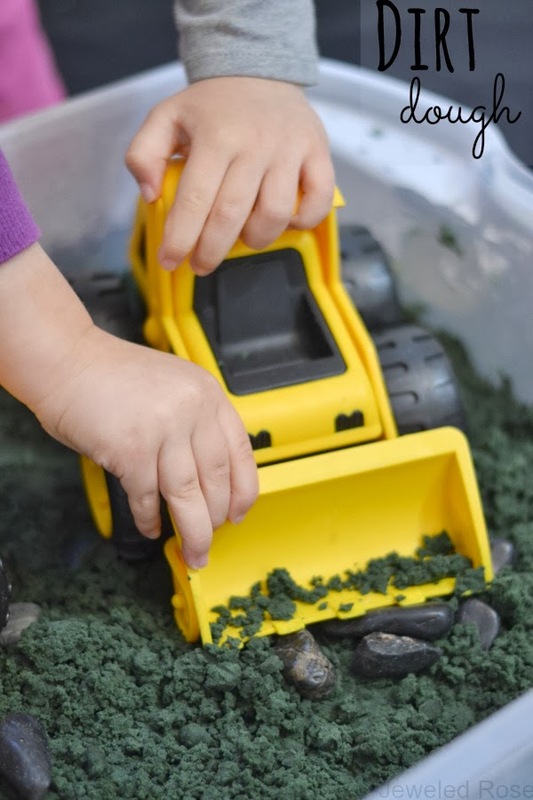 It is great for playing with cars and trucks, digging, pretend bug hunts, indoor treasure hunts, exploring with dinosaurs, small world construction sites, and so much more! 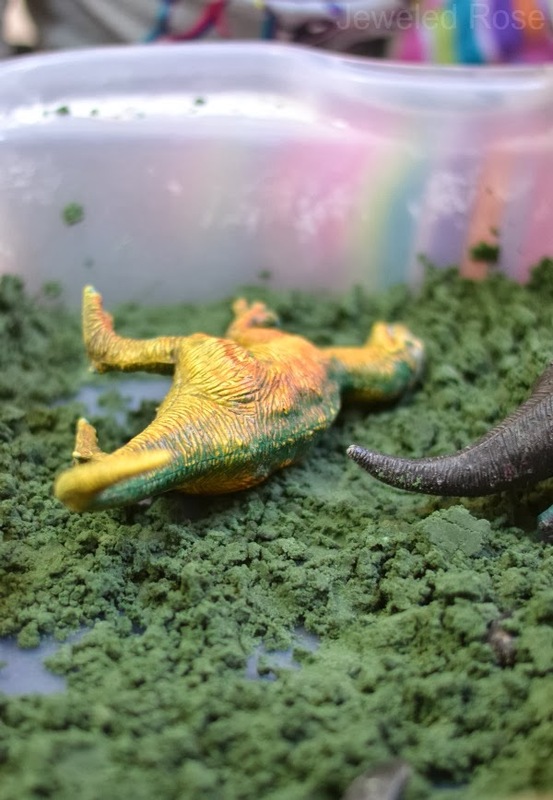 Another great thing about dirt dough; After kids have played with it for a few days you can use it to make MAGIC hatching dinosaur eggs. Pretty COOL! A Few Tips: You can store dirt dough in an air tight container or zip seal bag for several days. If it starts to dry out simply add a bit more water. 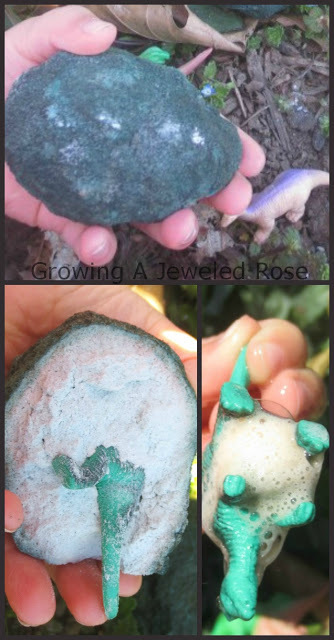 We usually keep our dirt dough for a few days and then make dinosaur eggs with it. 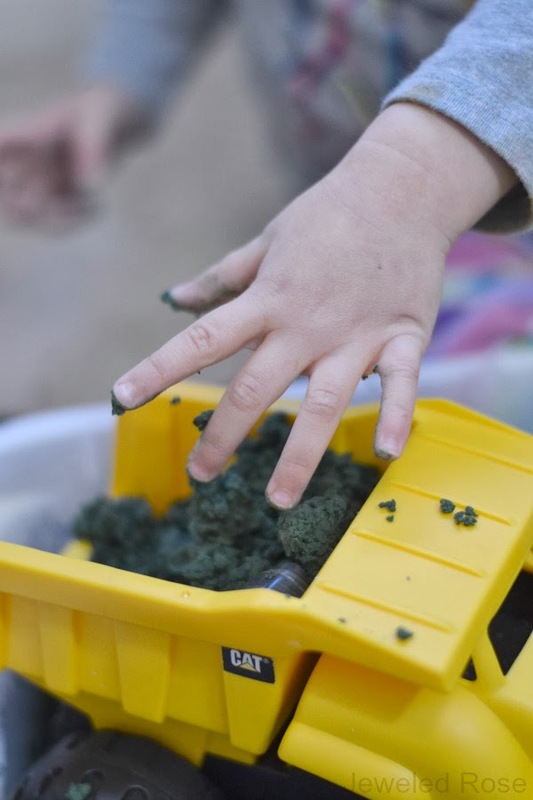 If you use washable watercolors to color the dough all coloring will wash right off of kids hands. The black watercolor also give a very rich color. You can use black food coloring, but it may tinge hands for a few hours. If you don't have black watercolors and would like to purchase some you can find it online here.